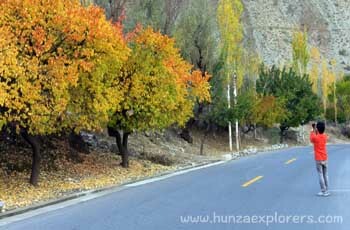 Early morning drive to Chilas it takes approximately 10 hours to reach Chilas from Islamabad, This day we will drive on the Karakoram High, which is the highest paved international road in the world. 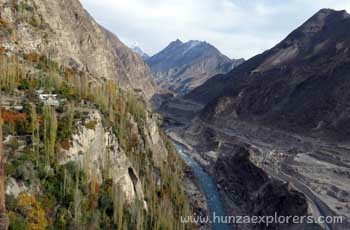 It connects China and Pakistan across the Karakoram mountain range, through the Khunjerab Pass, at an altitude of 4,693-m/15,397 ft as confirmed by both SRTM and multiple GPS readings. 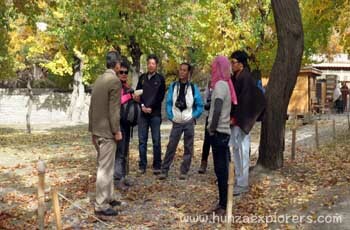 Day to explore around, today we will visit Altit Fort, Baltit Fort, Karimabad local bazzar for shopping and in the evening we will drive to Duiker to see the view of Hunza and Nagar valley and the sunset on the mountains! 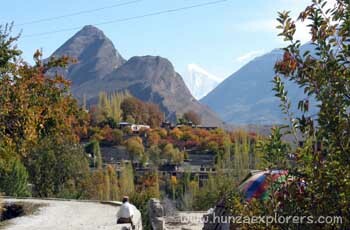 Drive to Phundar through the small village on Karakoram Highway and Gizar valley, arrive and transfer to the hotel.